Surrounded with lush orange orchards, Bara Mangwa with its terraced agriculture and simplicity has become the epitome of eco-friendly village in Darjeeling. During the harvesting season when all the oranges ripe many exquisite Himalayan birds can be spotted in Bara Mangwa collecting their share of orange, making Bara Mangwa an ideal place for birding for the passionate bird watchers. Beside from offering the breath taking view of Teesta and Rangeet river confluence and lofty mountainous hill of Kalimpong there are many destinations close by Bara Mangwa with pictorial sights with an easy travelling distance like Takling Phunchok Choling Monastery. Built in 1915 Takling Monastery is one the first Tamang Monastery located in the Takling village nearby Bara Mangwa which show the blend of bon and Buddhism in its architecture and rare manuscript. Tinchuley sunrise point located 9km from Bara Mangwa as the name suggest the sunrise from Tinchuley is an epic phenomena where the sun slowly rise above the horizon glazing the snow kissed mountain range with an orange hue, the beauty of the sunrise cannot be expressed through words but can only be experienced. Located 15km from Bara Mangwa are the valley covered in lush tea gardens of Peshok and Lopchu which may hype the interest of tea lovers. Natural beauty is not the only aspect in which Bara Mangwa flourishes in. Bara Mangwa also has become the base for some thrilling mountainous adventure sport. From trekking route through the dense forest of rhododendron, oak and pine trees to river rafting in the roaring water of River Teesta and Rangeet River which have been graded as the class 4 water, Bara Mangwa has it all. Though Bara Mangwa seem small at the first look but if explored it has everything from the viewpoint offering the mind boggling view of Mt Kanchenjunga to the nerve wrecking adventure sport. Simplicity is the ultimate sophistication. Rejuvenate your tired soul by inflating your lungs with the fresh mountain air while feasting your eyes with the green lush mountain hills and spiraling river waters in Bara Mangwa a quaint mountain village of Darjeeling district. 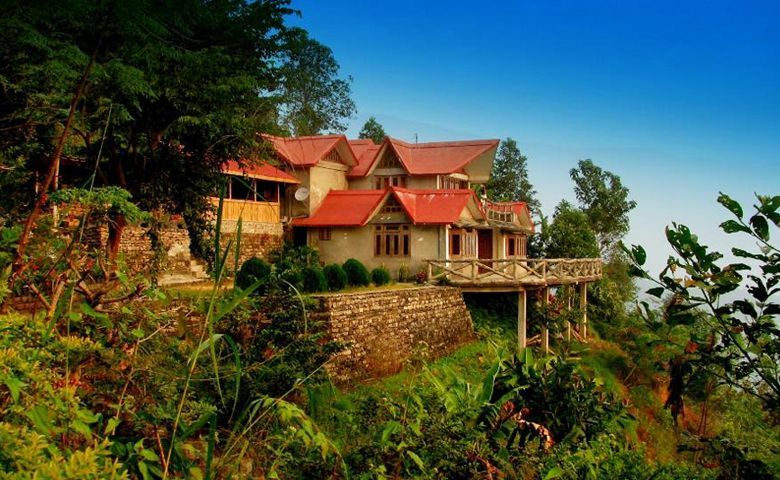 The raw and simple beauty of Bara Mangwa has become the perfect gate away destination for the tourists who are looking for a place far from the monotonous life and unsoiled by the modernized society where they can experience the true hospitality of Himalayan Region. The best time to visit Bara Mangwa to relish the beauty of mountainous hamlet is during the winter season when the orange orchards are boosting with the vibrant color of orange from the ripe oranges. Winter have more clear sky which is the best time to bask in the glorious vista of Himalayan range from Tinchuley view point nearby Bara Mangwa.